Continues to serve Broadoak perry. A traditional unspoilt heritage pub with small rooms, featured in CAMRA's Best Heritage Pubs guide. 6 cask ales plus a couple of cask perry/ciders. Well worth a visit. 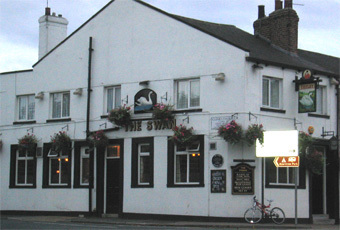 Whilst the Swan is a little off the beaten track, it's still a must visit in York. This is not only for the good selection of ales, ciders and perries, but also for the fabulous unspoiled traditional interior with its bar in the wide corridor. The selection on Sunday evening was Pennine Winter Warmer, Tetleys Cask, Sonnet 43 Steam Beer Amber Ale, Timothy Taylor Landlord, Bridgehouse Blonde, Treboom Swan Special Blonde, Broadoak Perry & Thistly Cross Whisky Cask cider. Staff are friendly. The back room was packed out. So I chose the front room, where I was the only person. But I'd recommend a visit here. An old style front and back room and a drinkers corridor make up this Victorian pub. I made the mistake of going for Taylors Landlord which either doesn't travel well beyond a 2 mile radius of Keighley or is no longer the top ale it used to be. Worth a re-visit but will go for a different ale. Stunning corner plot pub that is a real throw back to the 50's. Split rooms with the old bell for service still on the wooden panelling. Old fashioned lights hang from the ceiling's, wooden benches with red covering, old wooden stools etc this place has bags of character, no wonder it's one of Britain's real heritage pubs. 5 ales of which 2 of these are guests. I had a pint of Tetley cask, the wife had a real cider. We sat in the public bar area with the others that were in, no music but a good mix of chatter. I have learnt that the lobby is of West Riding style and it certainly is stunning, the pub really does have oodles of character and is worth the trip from town.